After the passage of Irma and Maria, the Moorings said they were determined to rebuild and come back stronger than ever. They also committed to opening their BVI Base on December 9th. Well they weren’t kidding! Like clockwork they opened the Moorings/Sunsail BVI base for business on 12/9/17. The photo below shows the almost unbelievable progress made by their Tortola team in just 3 short months! 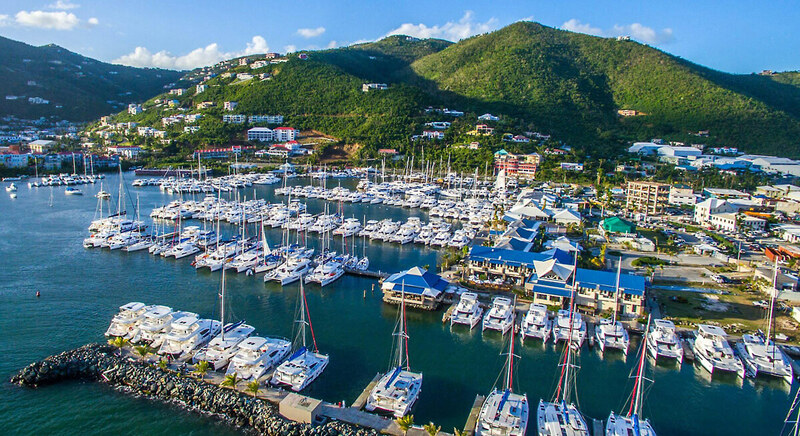 The office, hotel and restaurant have been repaired and reopened, boats have been righted and repaired plus many new boats have been ordered and have arrived in time for the upcoming charter season. In January I was able to personally visit the Moorings BVI Base and am happy to report it looks every bit as good as in the photo below… perfectly put back together and ready for visitors now!